If there’s one common theme people have when they talk about regrets, is that so many regret not travelling more. The world is a weird, wonderful and beautiful place, and staying in one spot makes no sense if you have the opportunity to see more. 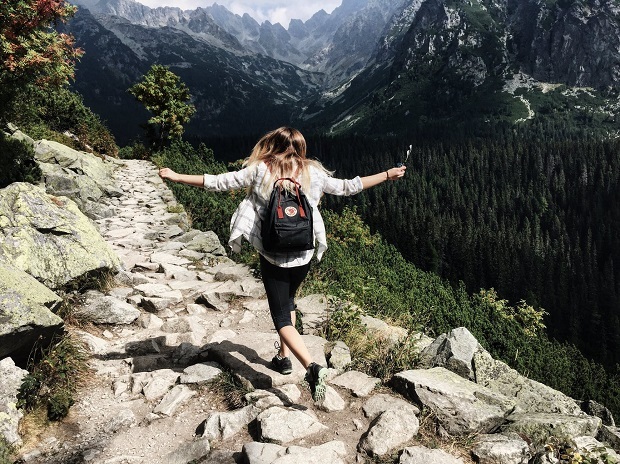 Solo holidays are particularly good, and is something that everyone in their twenties should aim to do if they get the chance. Here’s why. Your twenties provide a unique window to take advantage of. You’re an adult, but you don’t have all of the adult responsibilities that come later in life. Once you’ve bought a house, have children, pets, commitments in your job- packing a case and disappearing for a few months to travel often isn’t feasible. If you’re still free and aren’t too committed in your twenties, use this opportunity to travel. See the things you want to see, go to new places and do the things you want to do before the responsibility that comes later in your adult life sets in. Young adulthood is a confusing time. You’re officially out of education and into the big wide world, you’re moving out, living independently and generally discovering who you are and what makes you tick. In order to do this, you should have as many different experiences as possible. Many people looking to delve deep into their personality and find out who they are will choose to do so through travel as it’s so effective. Travel alone is even better for this, when you only have yourself as company for large parts of the trip, it’s a chance to be alone with your thoughts- to find out how you respond in different situations without anyone else there to guide you. Not to say you can’t be fit and healthy later in life, but when you’re young you naturally have more energy and are likely to be in good physical shape. So take advantage of this, and travel while you still have an abundance of energy to enjoy it. You could spend six months running up to your trip hitting the gym and getting in peak physical condition before leaving. This will mean you’re not getting as tired, can walk further and faster and won’t be bogged down by your fitness levels. Travelling alone also proves to yourself how capable you are. If you can successfully get to another country, board planes alone, find your way around somewhere new and have a blast in the process it will leave you feeling like there’s nothing you can’t do. When you return home, trivial annoyances won’t be a problem, you’ll be fully confident in your abilities and feel ready to tackle just about any situation. Feeling capable and confidence go hand in hand. Not only will you feel confident in your abilities but your relationships with other people too. Travelling allows you to meet the most incredible people, those who have grown up very different to you. Different cultures, religions, languages and countries, it will teach you a lot about people in general. Socialising and getting to know new people can do wonders for your confidence skills and these will be brought back with you when you have your feet back on home turf. 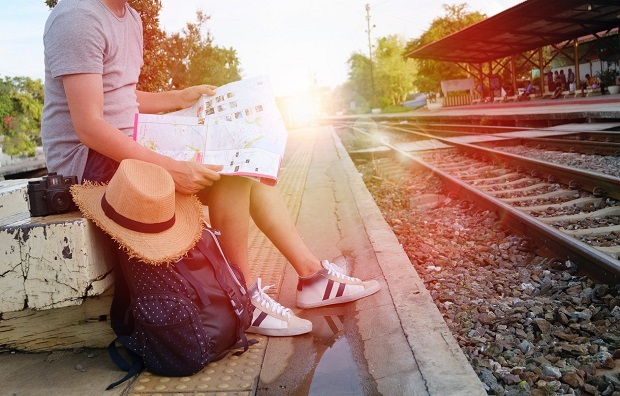 When you travel alone, you are likely to make more effort to socialise with others. You don’t have a group to rely on for support, stepping out of your comfort zone and going it alone is a fast way to improve your confidence. Depending on the types of things you do on your travels, you’re likely to pick up lots of new skills. It could be the start of learning a foreign language, learning how to cook the local cuisine, map reading and so much more. You will pick up skills and knowledge that you simply wouldn’t have learned otherwise, it’s far more fun than learning from a book and however weird and wonderful the skills are, they could be in some way transferable when you return home. Learning about the local cuisine for example can give you an understanding of how different ingredients work together. Employers love taking on well-rounded individuals, those with life experience and interests outside of work. International travel, particularly if you’ve travelled alone is likely to wow an employer. It shows them that you’ve been brave and independent enough to go it alone, and have made travel plans and managed to go through with them and make it work. It shows you are willing to work and go to different locations and could have skills from travel too that they want. As millennials who have grown up around technology, we are very dependent on it. This can sometimes even become obsessive- we check Facebook like it’s the morning paper, we can’t have a meal without sharing it on Instagram and we Snapchat our nights out. While it’s fun keeping in contact with loved ones, solo travel could give you a chance to detox mentally. Get away from social media. You could equip yourself with a basic phone that’s just able to make calls in case of emergencies. Some old school paper maps and a camera to document your travels. Finally, travel and doing new things is fun and exciting. Why not spend this time enjoying yourself, letting your hair down and doing things because they’re fun? Explore markets, caves, walk through beaches and up mountains, go swimming in the sea, drink cocktails with the locals- have a blast. Solo travel will also teach you you can go out and have fun without having to rely on friends too!